Shortly after the Royole FlexPai pushed foldable smartphones into existence, Samsung has announced a prototype for its new Samsung Galaxy X (or Galaxy F, as there is no definite name for the unit yet) and it didn’t take long until the first few details about this upcoming release began leaking out. According to a head brokerage researcher from The Korea Times, the Samsung Galaxy X might cost a whopping $1,770 (Php 94,000). This price seems to justify the effort and money that Samsung shelled out for research and development of the Infinity Flex display that will be the key highlight of the Galaxy X. Judging from the presentation and first look offered by the Samsung Developer Conference, the foldable phone might still be months away from an official launch. 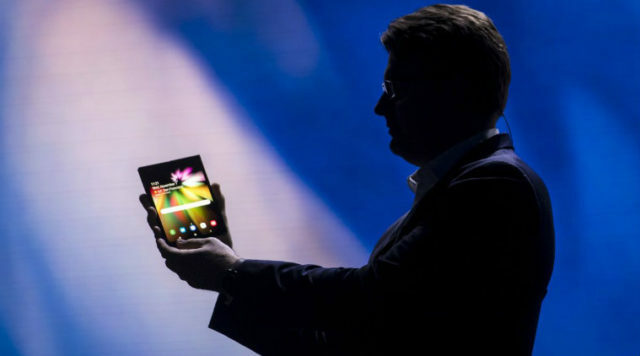 The Galaxy X foldable phone has a fold-out design that turns the phone into a 7” tablet. Samsung is currently in collaboration with Google to create developer guidelines for foldable devices, as the latest version of Android will be tested for its optimization on changing screen sizes.